Your station infirmary is equipped to look after your medical and dental needs. Hospitalization with full normal obstetrical and nursery facilities and dental treatment is available within the resources of the station for dependents on a repayment basis. 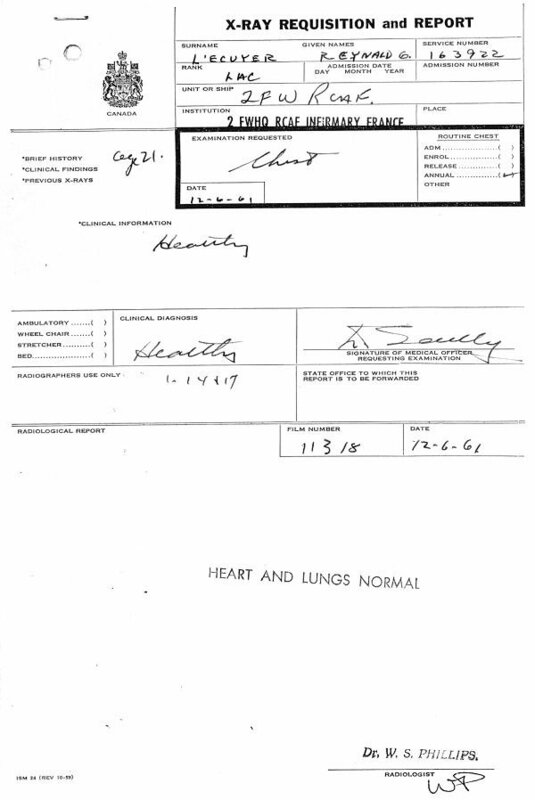 Daily cost of hospitalization is $8.80. Out-patients clinics are conducted regularly including pre and post-natal baby care presently free of charge. A free school health service is operated similar to that in Canada. Although our hospital is well equipped for treatment of most illnesses, servicemen and dependents will be referred to large US military hospitals for investigation and treatment beyond our facilities. At the time of writing, the daily all-inclusive rate for these services is $19.25. All married personnel who are not already subscribers to a Hospitalization Insurance Plan are implored to enroll before proceeding overseas or at least when reporting in on the Station. Caution: Certain Insurance Companies do not give coverage overseas which indicates you should check your plan before leaving Canada. 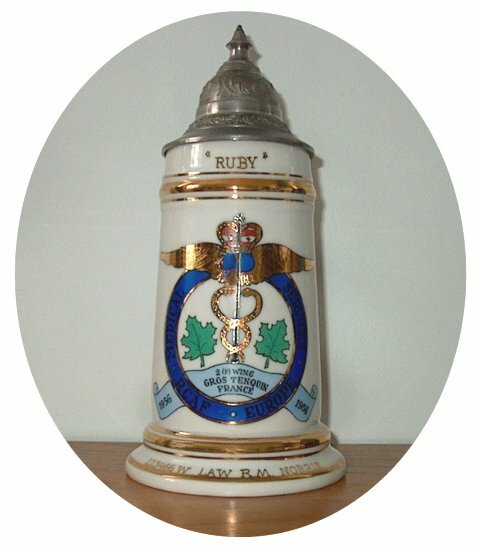 Blue Cross and North American policies are known to be valid in Europe. 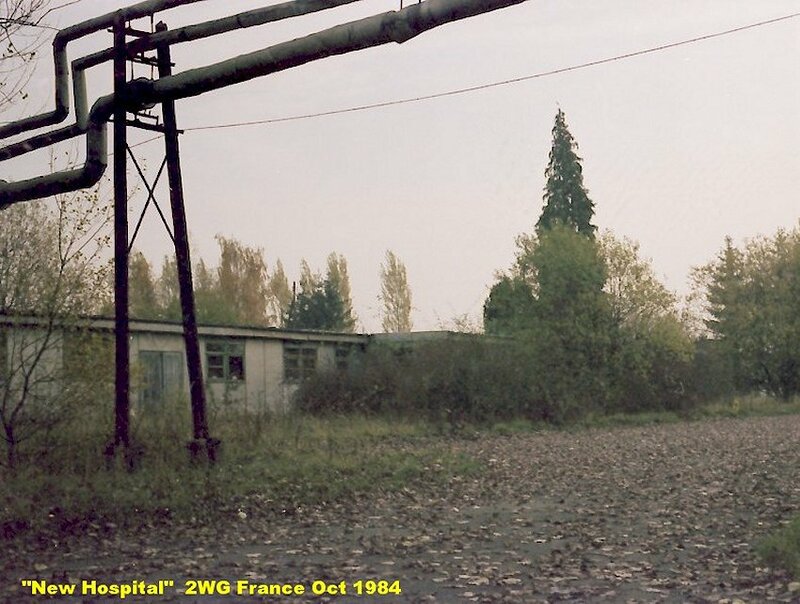 Part of the Hospital - October 1984. 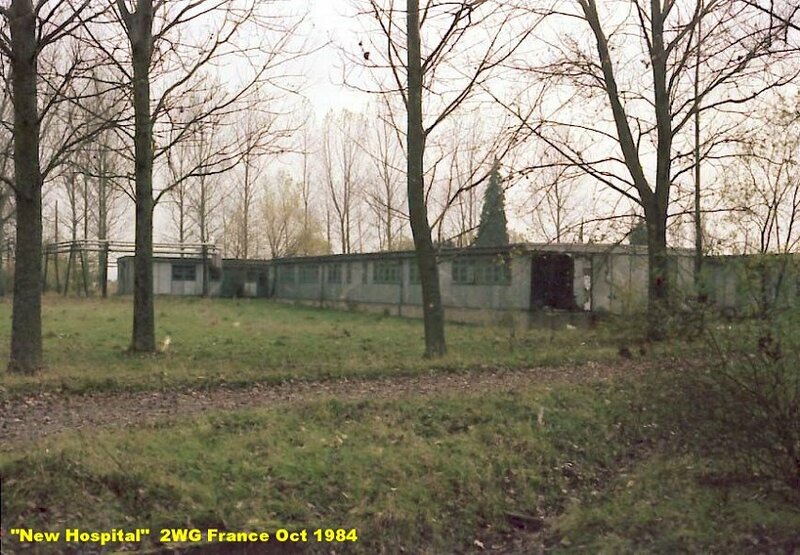 The Hospital at Grostenquin - October 1984. 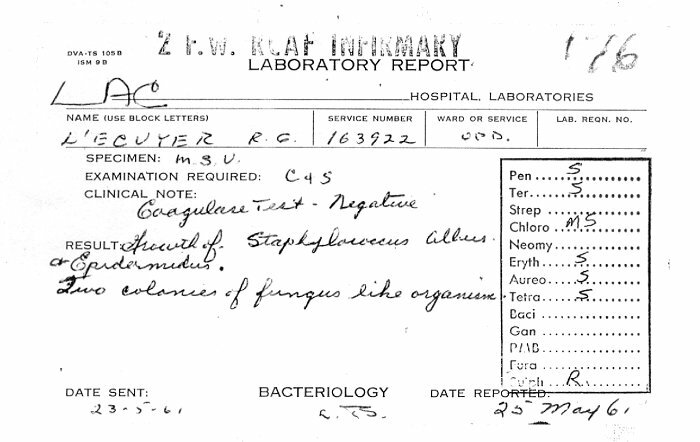 Extracts from 2 Wing Historical Reports pertaining to the Hospital. 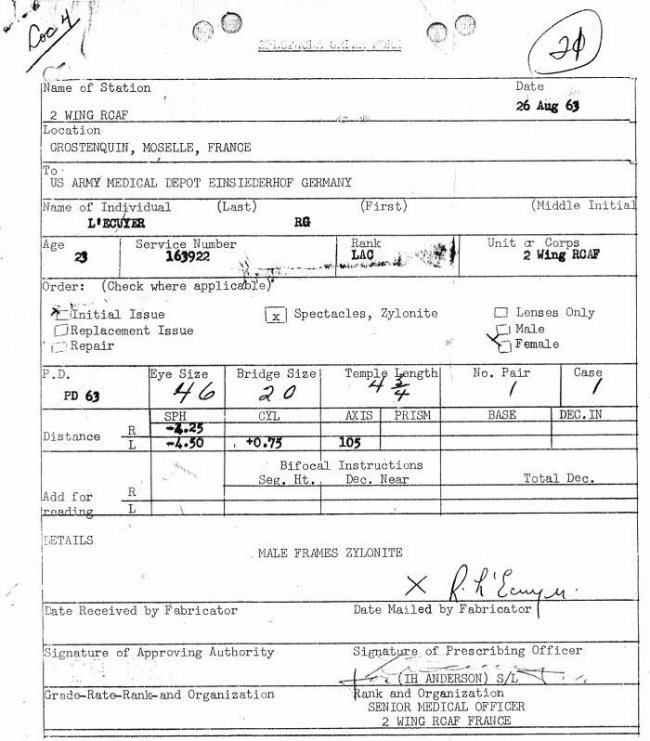 Medical - Spectacle Order Form - 26 August 1963. Medical - Eye Examination - 19 August 1963. 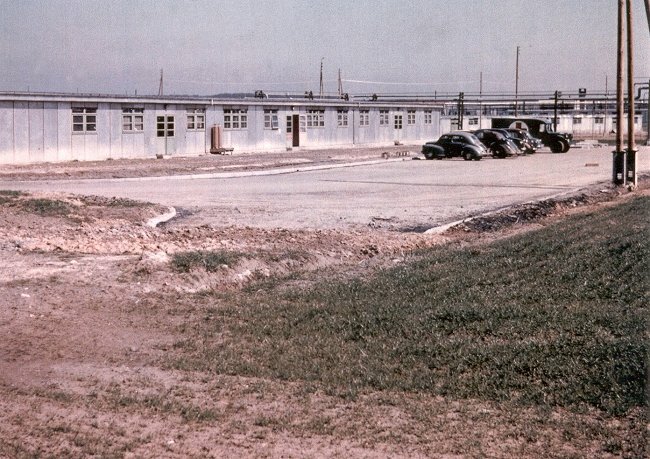 The Wing Hospital as seen from the Sr NCO's barracks - January 1963. 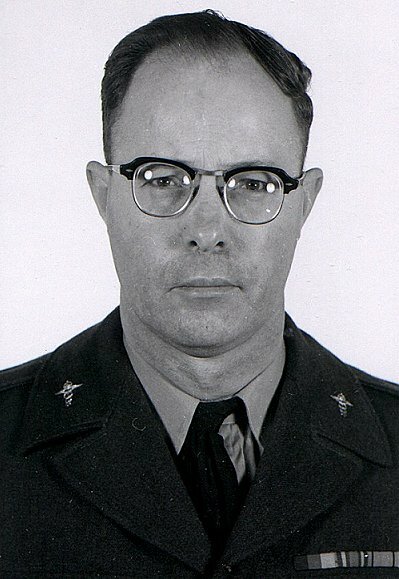 Corporal Frank Woodhead was a Nursing Orderly at 2 Wing Hospital - April 1962. 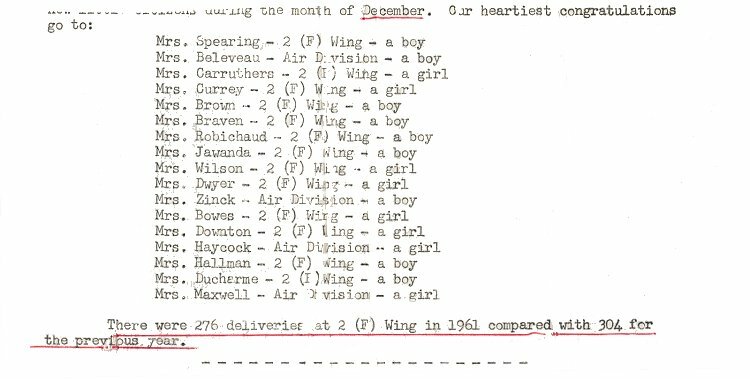 Extract from DRO's listing the newborn babies - December 1961. 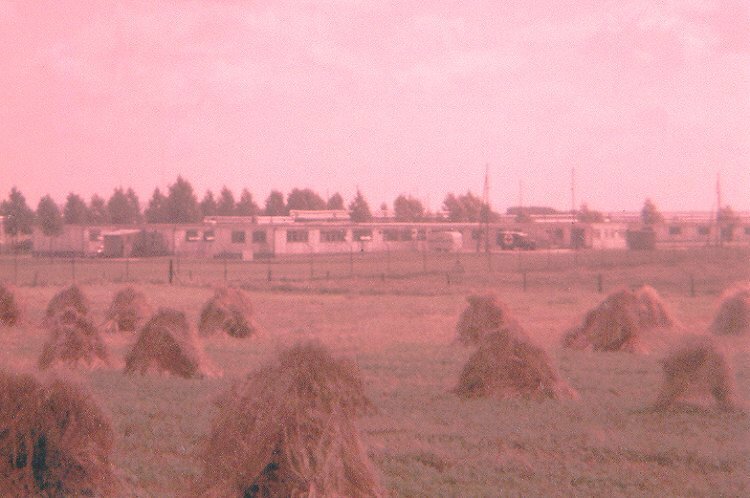 View of the station hospital as seen from the access road approaching the airfield - October 1961. 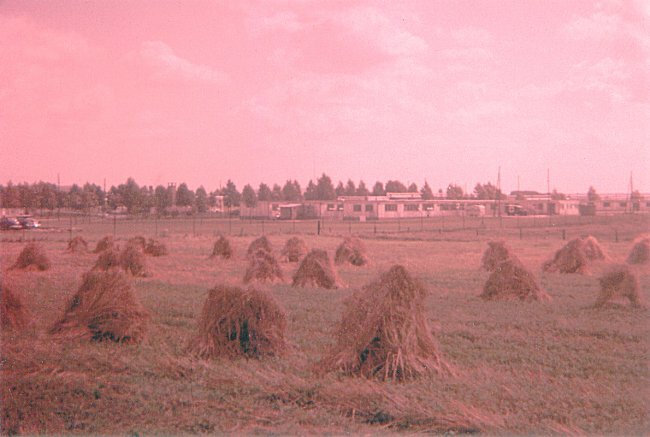 Larger image of the previous photo - October 1961. 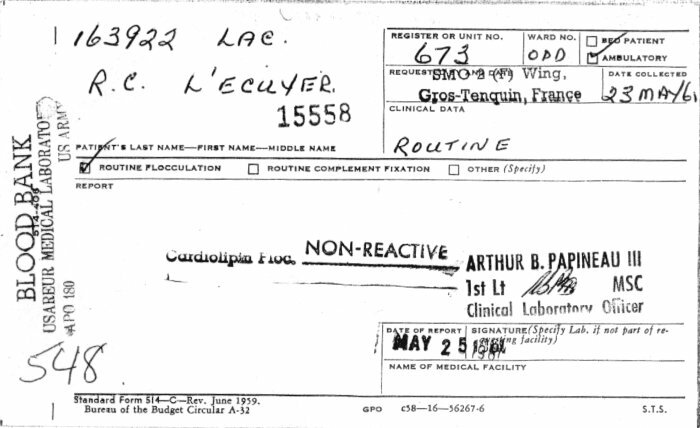 Medical - X-Ray Requisition and Report - 12 June 1961. 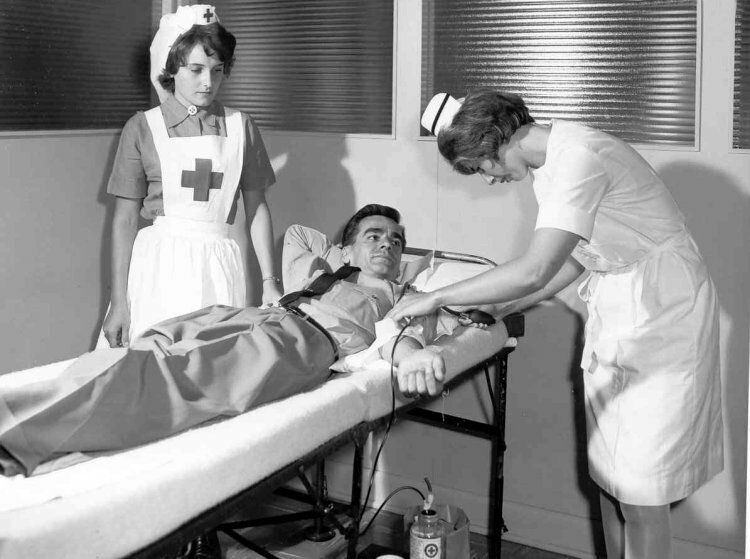 Medical - Blood Bank Testing - 23 May 1961. 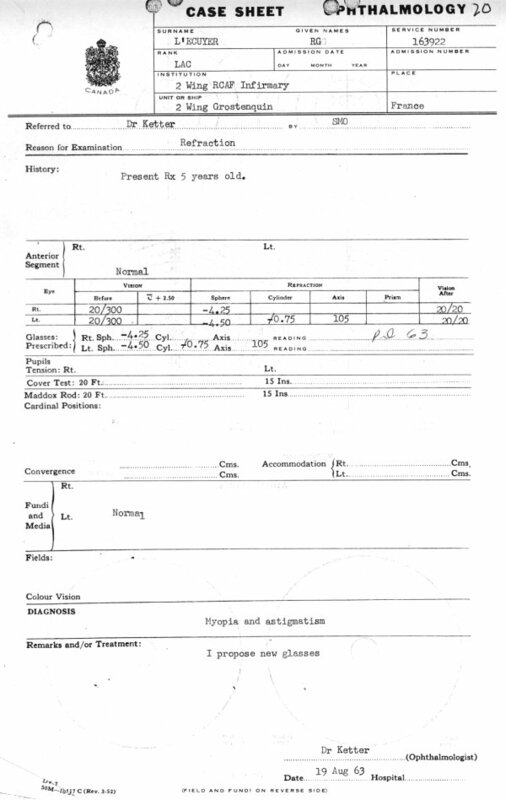 Medical - Laboratory Report - 23 May 1961. F/C R McKenzie and LAC Stuart - 12 July 1960. Courtesy Canadian Forces Joint Imagery Centre PL-127868. 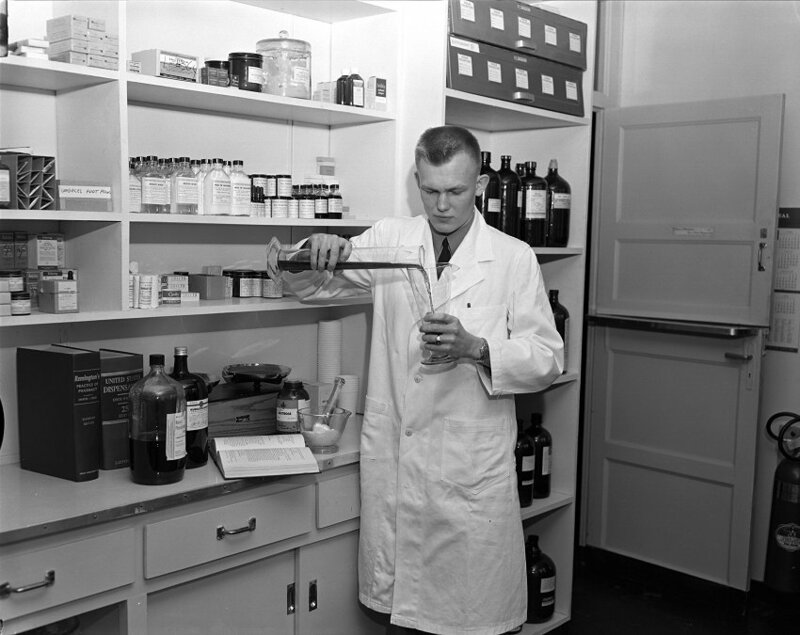 F/C J Slywk prepares a prescription at the station pharmacy - 11 July 1960. Courtesy Canadian Forces Joint Imagery Centre PL-127867. 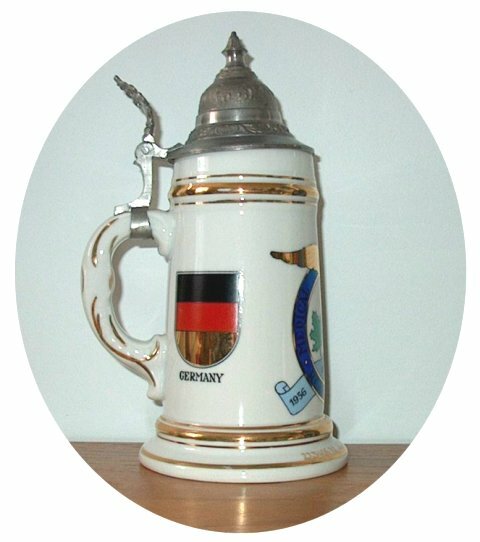 Souvenir beer stein for the Station Hospital, frontal view - April 1959. 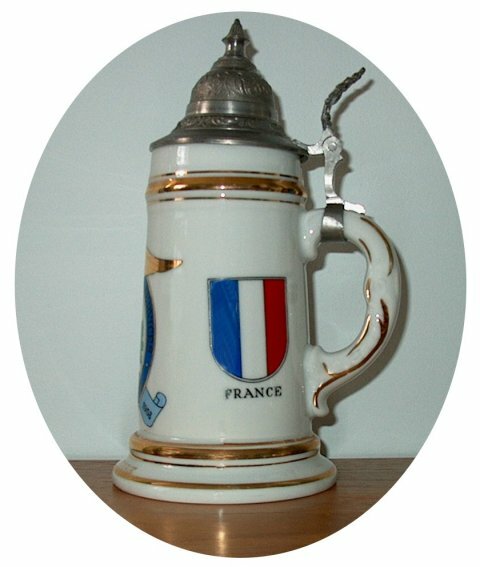 Souvenir beer stein for the Station Hospital, side view - April 1959. CF-100 crash into the Wing Hospital - 25 August 1958. 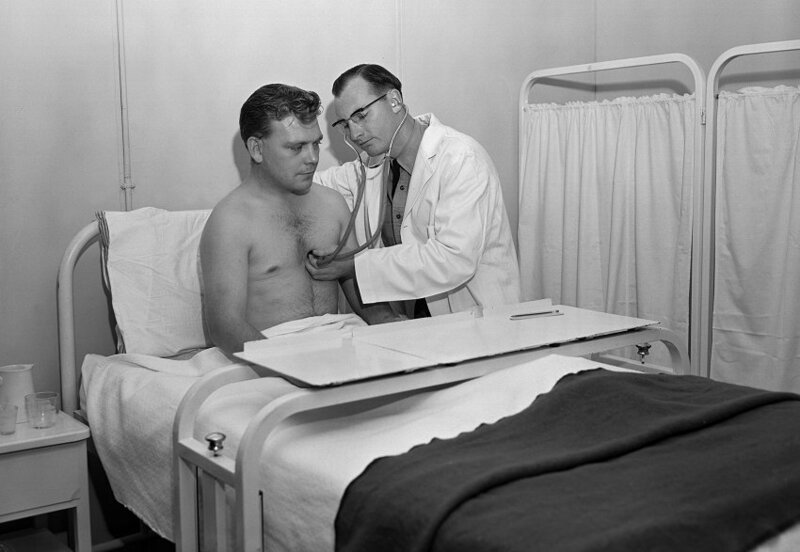 Tour through the Hospital - August 1958. 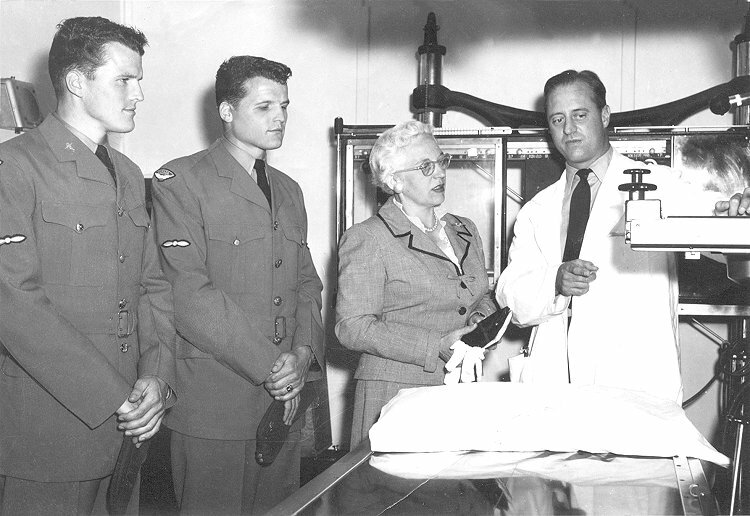 (L-R) Fred and Frank Sova (twins) were Med A's at the Wing Hospital, with their mother and Dr. Chitham. Who says "you can't get blood out of a Stone"? - July 1957. The Station Hospital. 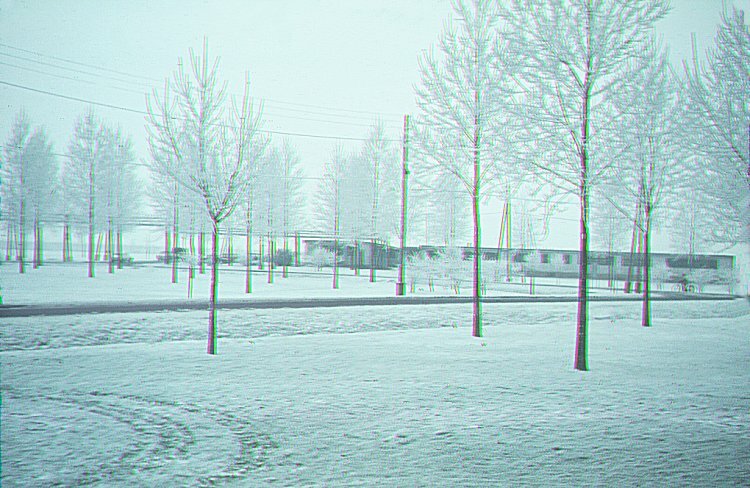 All of the buildings seemed to look the same - April 1953. 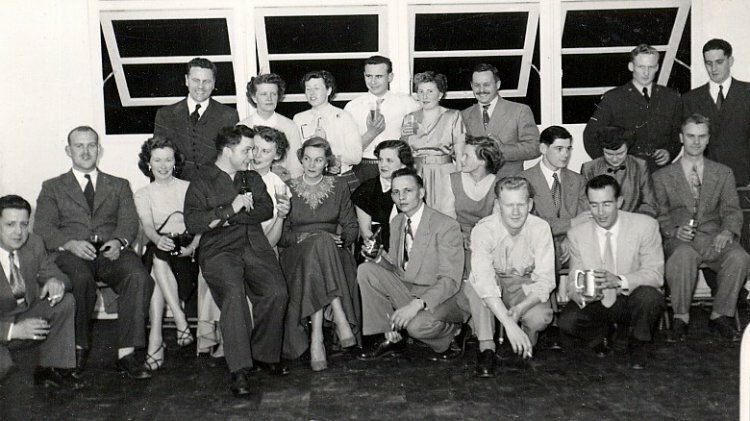 The Hospital Staff party at the opening of the Station Hospital - April 1953. 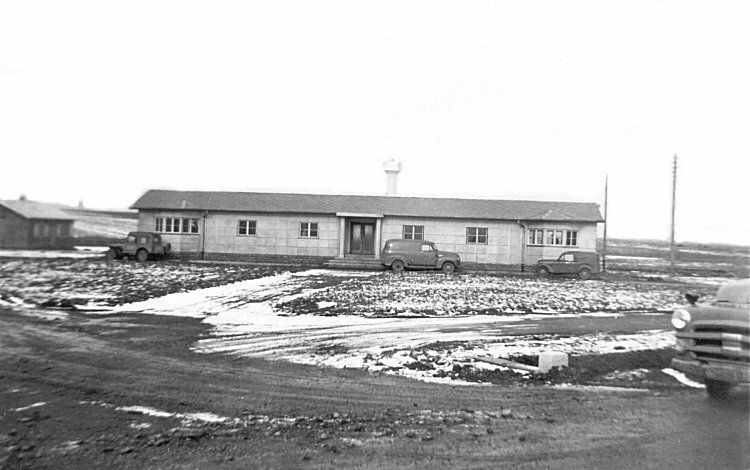 An early photo of the Station Hospital with the water tower in the background - January 1953.